NEw program - CIZE Live is coming this june! What is CIZE? 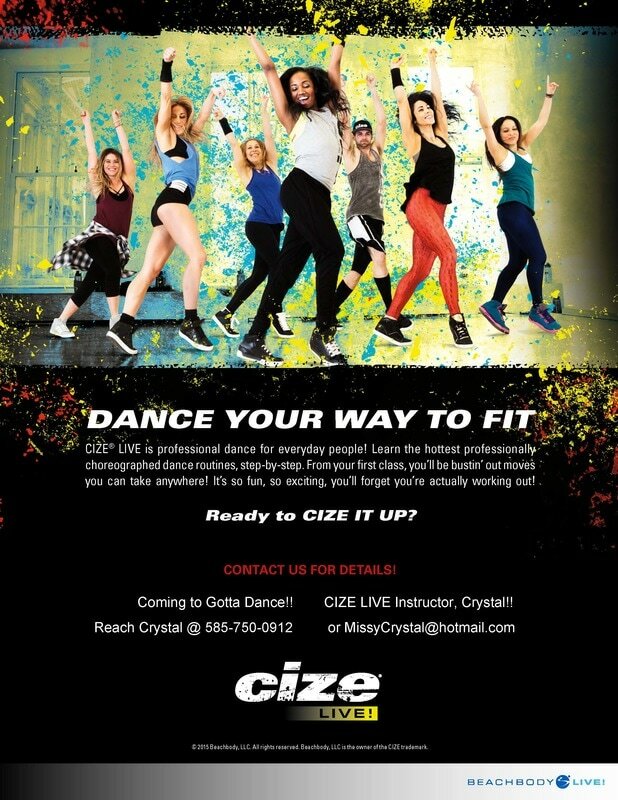 CIZE LIVE is a dance class for EVERYONE! 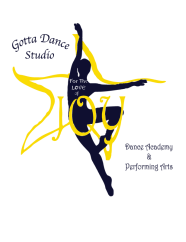 It's for dancers, because they can get a workout doing what they love to do. It's also perfect for anyone who's ever wanted to learn to dance. It's an opportunity for self-expression and heart-pumping physical activity that's so much fun it doesn't feel like exercise. Shaun T developed CIZE with the belief and the vision that everyone can dance. 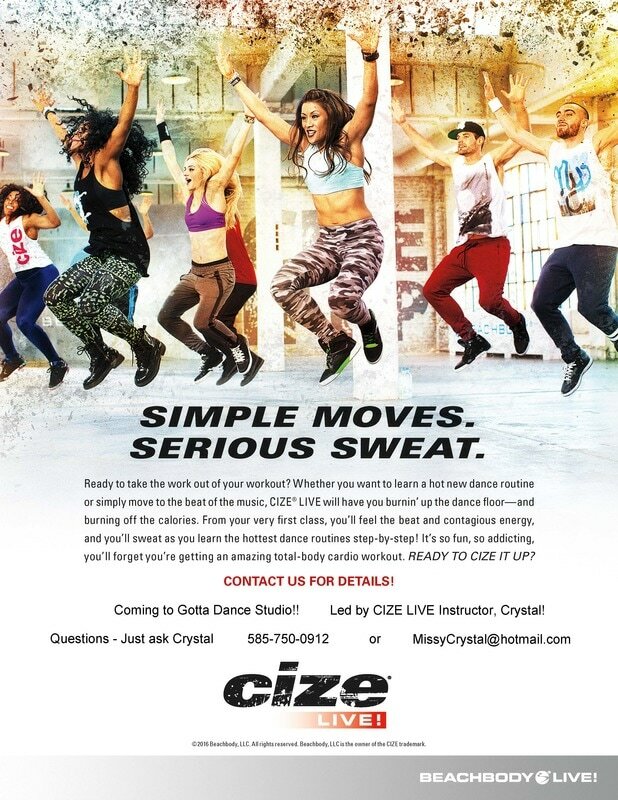 CIZE LIVE is within reach for everyone, because it's all based on moves that everyone has done with their bodies. Shaun puts those moves to the beat, and suddenly it's dancing!! JUNE 5TH, 12th, 19th, 26th - Give it a try and see if it's a fit for you.